FOR IMMEDIATE RELEASE – December 15, 2014, Los Angeles, CA: Anyone who is interested in writing a movie script knows what it is like to struggle. They look for ideas, insights and inspiration everywhere, especially online. Based on its recent achievement of receiving over 2000 “likes,” one favorite information source is the Facebook page for screenwriting author Eric Edson’s book, The Story Solution: 23 Actions All Great Heroes Must Take. 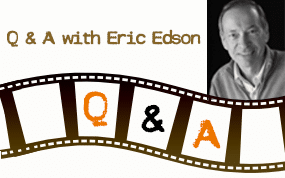 Eric Edson utilizes social media channels to educate and encourage aspiring screenplay writers. He sees the Facebook page as a natural extension of his teaching inclinations. To connect and engage site visitors, Edson includes a “Log Line Challenge” each month to pull out story ideas. Regular polls are used to help initiate discussion among members about the book-to-movie writing process. 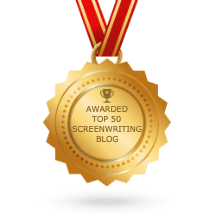 He also seeks to build a screenwriting community by asking participants to share stories of achievement in order to help motivate others to break through their barriers. Edson has written seventeen feature screenplays for companies such as Sony, Warner Brothers, Disney, 20th Fox, ABC Motion Pictures, Lifetime, Showtime, NBC, and TNT. He is a Professor of Screenwriting and Director of the Graduate MFA Program in Screenwriting at California State University, Northridge, lectures through the UCLA Extension Writers’ Program, and was a featured speaker at Story Expo 2014. If you are seeking advice on writing a screenplay or looking for screenwriting tips, The Story Solution is one of the best books on screenwriting to consider for your library. About The Story Solution: Eric Edson’s The Story Solution is an in-depth handbook for those who are interested in scriptwriting. It reveals the 23 actions used to create dynamic, three dimensional heroes as a screenplay writer. Visit the website at http://www.thestorysolution.com to download a sample chapter of the book about screenplay writing. “Like” the Facebook page to receive insider insights on writing screenplays.